Garfish considers it an honour that our very own Executive Chef, Stewart Wallace, has been selected as an aquaculture judge for the third year running at the Sydney Fine Food Show. Held by the Royal Agricultural Society of NSW, the Fine Food Show holds a range of competitive events throughout the year aimed to select, reward and applaud the best producers in the industry. Since 2001, the Summer Aquaculture competition has been raising the benchmark for products from around Australia. 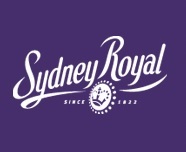 Judges are selected based on their industry expertise and this year judging was held on Wednesday 5th March in the Charley Room, at the Sydney Showground, Sydney Olympic Park. 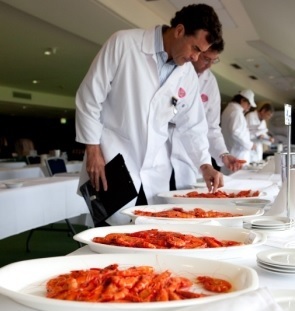 As one of three official judges in the panel for aquaculture, Stewart was asked to assess products such as smoked salmon, smoked ocean trout, Sydney rock oysters, cooked prawns, trout caviar and aquaculture-derived terrines, mousses and dips. This year Stewart and the other judges assessed around 30 – 40 different products across seven aquaculture categories. The competition is points based and products can be awarded Gold, Silver and Bronze medals depending on their overall points scoring. Garfish congratulates all competitors on this year’s results.